The SB 755 Profiling Beds are excellent for providing support and comfort to patients, and with certain accessories they can be made stylish and homely. The Invacare Victoria Bed Ends are designed to provide additional support and comfort to the patient while improving the overall aesthetics of the bed. Who Can Benefit from the Victoria Bed Ends? 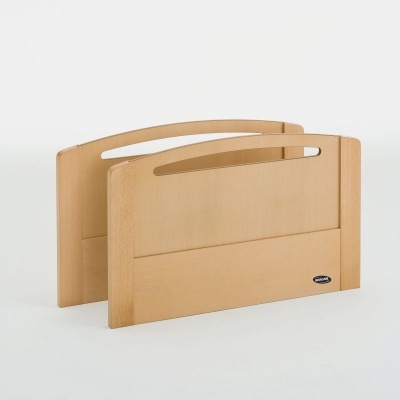 The centre panels of the Bed Ends are detachable, making them easy to slide in and out of the bed frame. They are suitable for use with SB 755 beds that include full-length side rails for additional support and security. The warm colour helps to make the bed a little more homely and adds a final touch to the SB 755 range, while the curved top includes a small slit for ease of movement. Please note that Invacare Victoria Bed Ends are supplied as a pair.